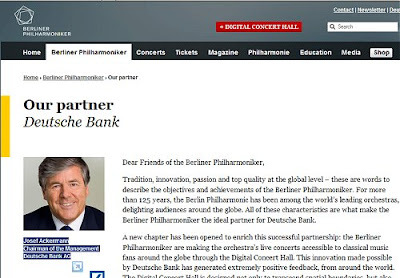 'Deutsche Bank will present a free webcast of the Berliner Philharmoniker and Sir Simon Rattle performing Brahms's Third and Fourth symphonies on Monday, November 9 at 8.00 p.m. EST on its website, http://www.db.com/ The webcast celebrates the start of the Berliner Philharmoniker and Sir Simon Rattle's U.S. tour that begins at Carnegie Hall on Wednesday November 11, and the recent release of the Brahms symphonies on CD' - Deutsche Bank website. 'State prosecutors examine Deutsche Bank spy scandal - State prosecutors in Frankfurt have confirmed they are examining evidence handed to them by the German data protection office ... The Wall Street Journal has reported that the review focuses on four separate spying incidents that occurred between 2001 and 2007. One case involved the surveillance of Gerald Herrmann, a former union leader and supervisory board member, who was suspected of leaking sensitive company information to the media. Deutsche Bank admitted to spying on Hermann earlier this month and has since apologized. Other alleged targets are reported to include Deutsche Bank's chief operating officer Hermann-Josef Lamberti, and Michael Bohndorf, an activist shareholder who has been highly critical of the bank' - Deutsche Welle July 2009, and here is a Wall Street Journal update from Sept 2009. 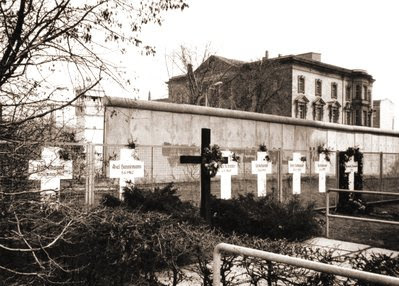 On November 9th, 1989 the Berlin Wall fell, an event triggered by a debt-ridden East German economy struggling to finance pensions and other costs - does that sound familiar? 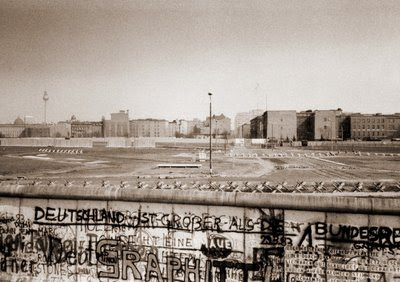 The three exclusive photos of the Berlin Wall in this post were taken by me in 1973, read more about them here. Music history rewritten by the division of Berlin here. 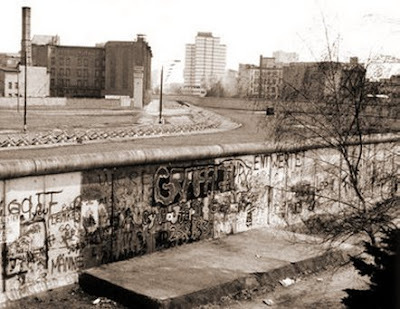 Another exclusive photo of the Wall here, while elsewhere an America vice president comes visiting. The final approach to Berlin is here, the city is reborn here, and finally, another nomination for the Berlin Philharmonic's darkest hour.